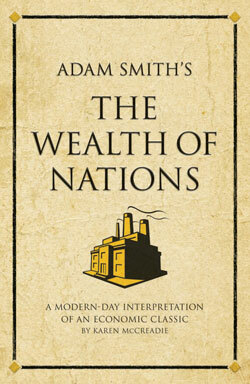 Adam Smith’s The Wealth of Nations was the first comprehensive treatment of political economy. Published in 1776, The Wealth of Nations was originally released for a very specific audience, the British Parliament, setting clearly defined arguments for peace and co-operation with its troublesome colonies across the Atlantic. Today it is one of the most famous books ever written. Here, Smith’s text is interpreted for the modern day world of finance, business and economics. Karen McCreadie’s interpretation is not a substitute for the original; its purpose is simply to illustrate the timeless nature of Smith’s insights by bringing them to life through 21st century examples. Given the state of our economy this brilliant interpretation couldn’t be more timely.